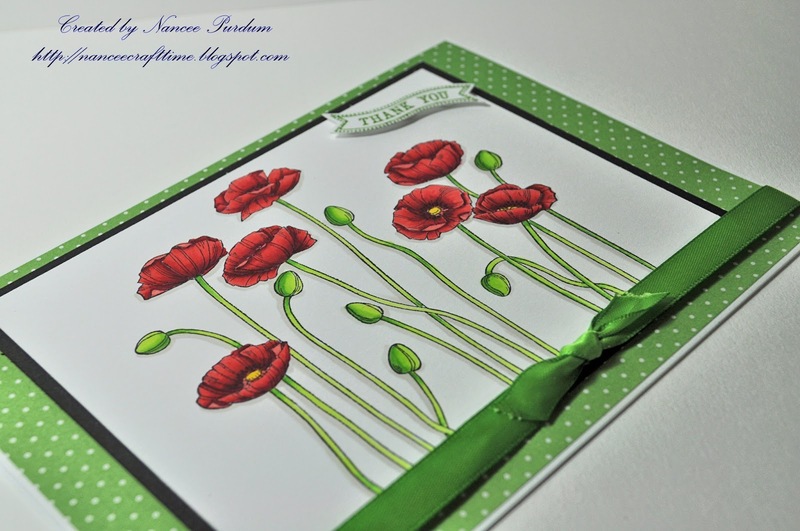 I had a busy weekend, but I still managed to spend some time card making. 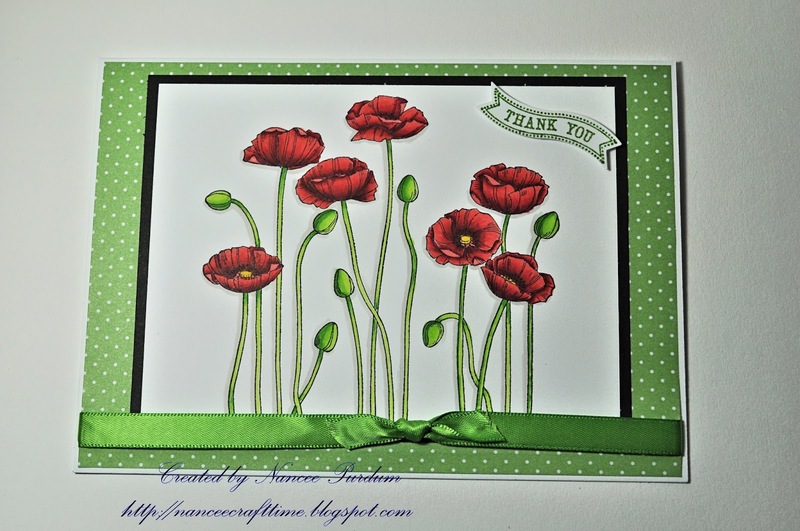 I hadn’t made a Thank you card in a while, so I decided to make a simple one. 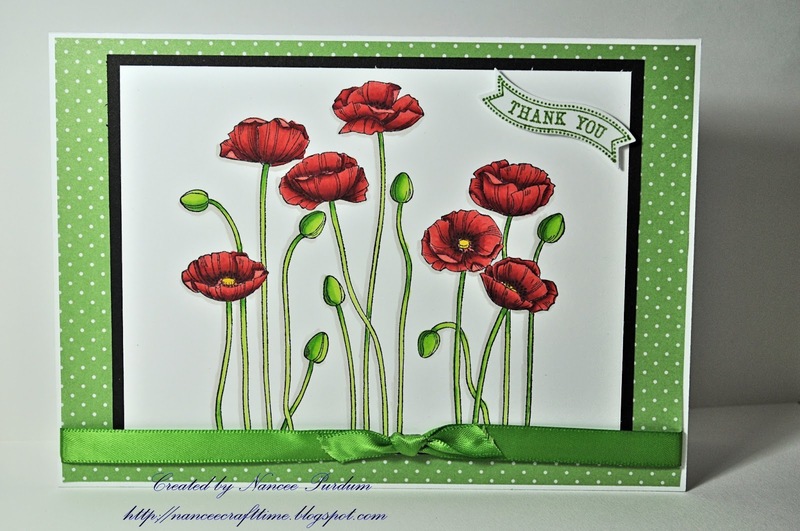 I used a stamp from Stampin Up, Pleasant Poppies. 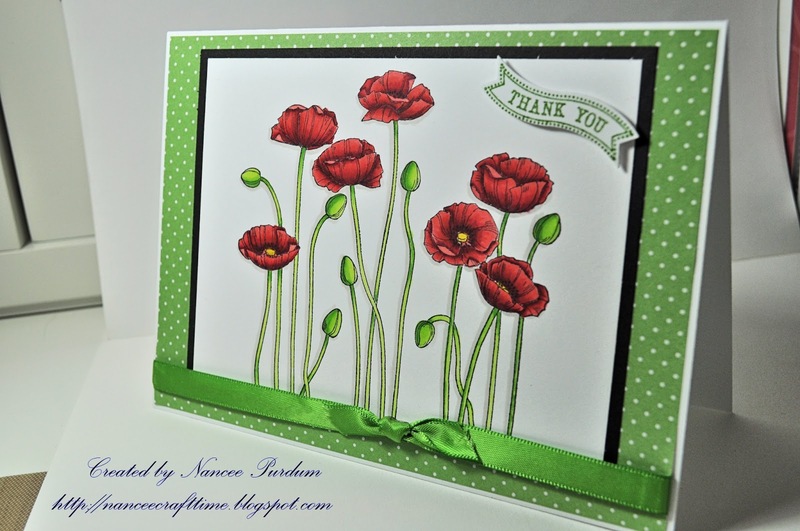 I had seen another Thank you card similar to this on another blog. I changed a few things. My paper is from Recollections and the ribbon is from my stash. I colored the image with my Copic markers. 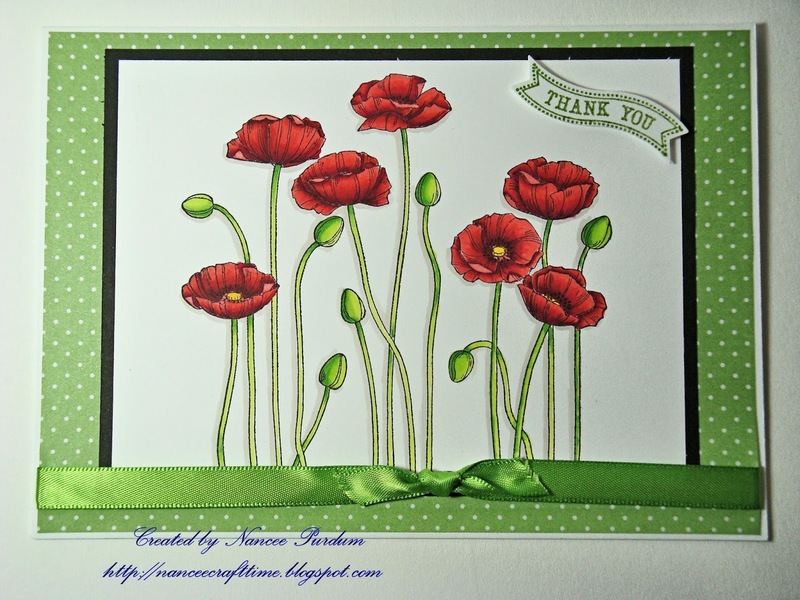 The flowers were colored with R22, R24, R29, R59, leaves and stems with YG17, YG23 and YG01. I used W0 to put a shadow on the sides.